Learn about succulents from an expert. Cave is author and photographer of the highly acclaimed “The Succulent Garden.” In this enticing volume, she spotlights the tried-and-true as well as the lesser known succulents. Cave knows what kinds of conditions these plants need and what gardeners need to do to keep them thriving. She shares this information with readers in an engaging style. In the introduction, she provides the basics on cultivation, plant pests and diseases, and propagation. Cave gives valuable details and instructions on how to grow succulents indoors, in containers, and outdoors in gardens. The weather isn’t a problem, for Cave has examples of how gardeners can protect these plants from rain and frost. Seeing these various plant covers reminded me of the umbrellas Japanese gardeners sometimes use for their trees as protection from heavy winter snow. The introduction features tips on creating succulent gardens, and has inspiring photos of how these plants can be used in the home landscape. The book has an A-Z full color guide to the different genera of succulents. It includes many kinds of plants, including obscure ones you may have never heard of before. Cave provides complete descriptions and the cultural needs for hundreds of species in over 60 genera. The descriptions are reader-friendly, for Cave uses ordinary words most people would understand. American readers will want to keep a metric guide handy, for the sizes aren’t given in inches and feet. The book is lavishly illustrated with 350 color photos. These include ones of plants as well as succulent gardens. For gardeners who love succulents, this book is must-have. Both novice gardeners and experienced succulent growers will be thrilled with its depth of detail and scope. 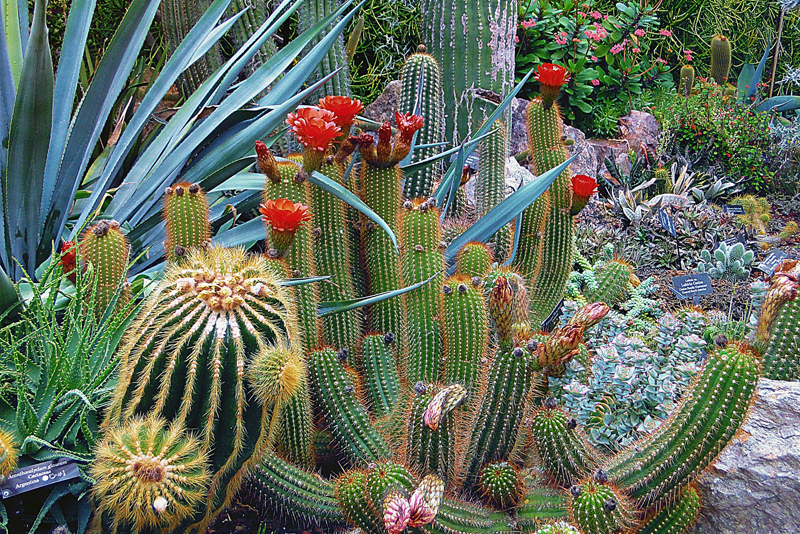 In addition to being a garden writer, Cave is a superb photographer whose work has appeared in various gardening books. Cave is a Life member of the New Zealand Camellia Society, and was a national president of the group. She is an Associate of Honour of the Royal New Zealand Institute of Horticulture and a Fellow of the Photographic Society of New Zealand. She has a farm near Wanganui, New Zealand.